The future of mobility begins today! Drive or be driven. Right now or later. Car rental in over 100 countries, flexible carsharing just around the corner and ride hailing worldwide - all with one touch. All with one app. Skip the counter! Open your car directly with our app and enjoy the ride. Unlimited car options and rental duration. Drop off anywhere, including at any SIXT station. Convenient ride hailing, taxi and chauffeur services wherever you need them. 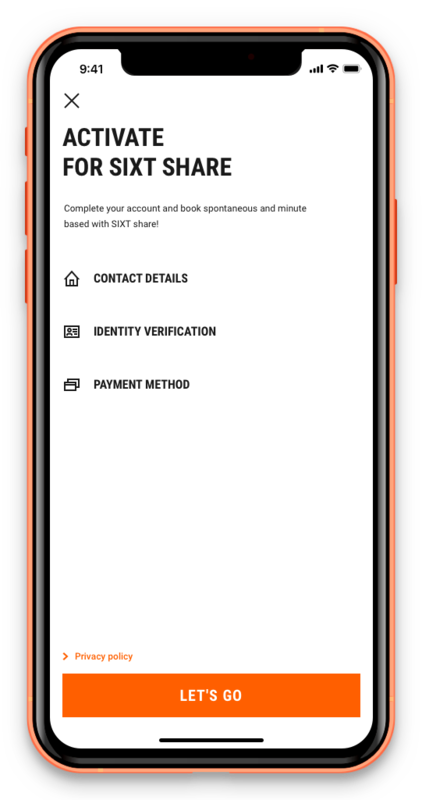 Log in to the SIXT app and enter your data. The account is ready to use after just a few minutes. Open your dream vehicle with the app and away you go! Don't feel like driving yourself? 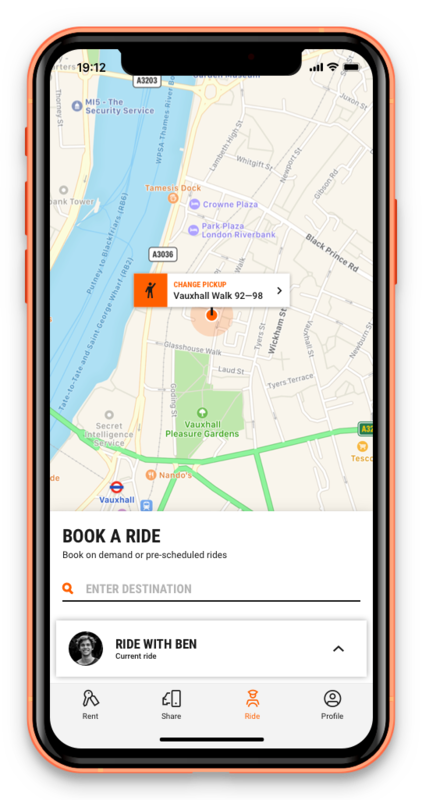 Select a nearby service, reserve it with the app and be picked up. 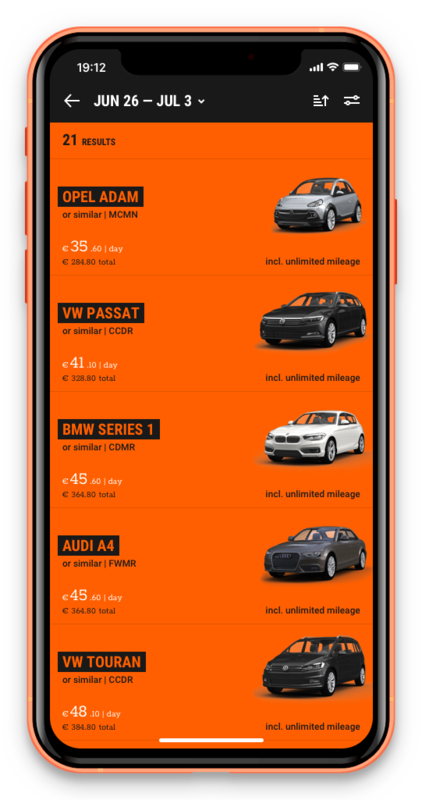 Once you’re logged in, you can immediately find the vehicle you want, all current prices and special offers, and book in seconds thanks to your predefined profile. 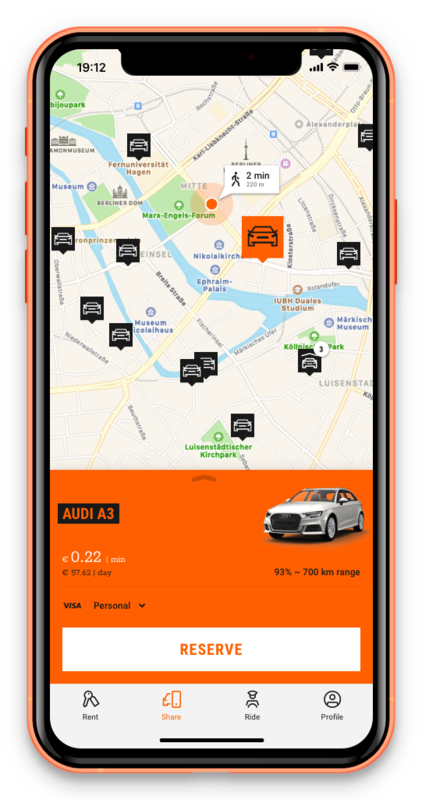 Only with the SIXT app can you book carsharing and driving services, select your favorite car before the rental period begins and conveniently unlock it with the app. All rentals and trips are available in one view. Keep track of private or business trips and rentals easily with your different profiles. A weekend trip to the next festival? No problem with us! To the airport or just to the next neighborhood? No worries! From 19 cent/minute. TGIF! Let's party in the club. Save yourself the waiting time at the counter. Our app is your digital key to your rental car. Choose your favorite vehicle from our premium car rental fleet up to 30 minutes before the start of the rental period. The app doesn’t just tell you where the next station is. It also navigates you there quickly without detours. Whether you need a city runabout, convertible or a lot of space. Choose from a variety of vehicles, try out new models and always get into the right car. Our business area is the whole of Germany! Simply park your car at the next street corner in the business area or at one of our 500 SIXT stations throughout Germany. With our intelligent pricing system – you decide spontaneously whether the journey should last only a few minutes or up to 27 days. Thanks to our large SIXT vehicle fleet, your dream vehicle is always just around the corner. 1.4 million drivers are available right now or for in-advance bookings. 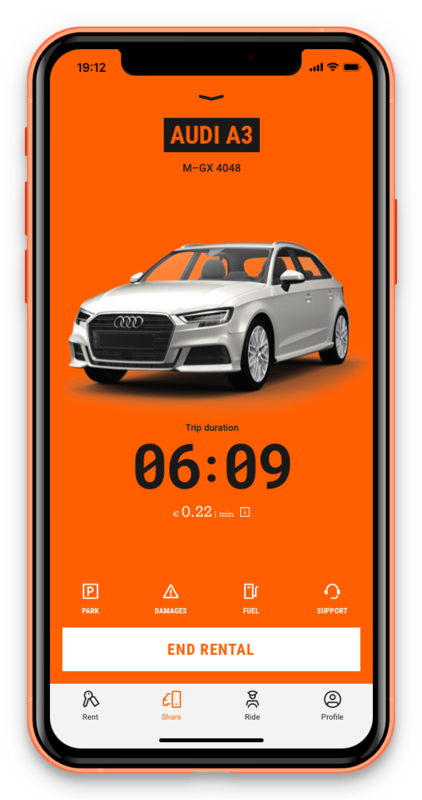 Use your SIXT profile to reserve your trip in the app and view in real time who your driver will be, and when they will arrive. Travel safely around the world with preselected SIXT partners. A profile with all means of payment. Make cashless payments worldwide in one app. 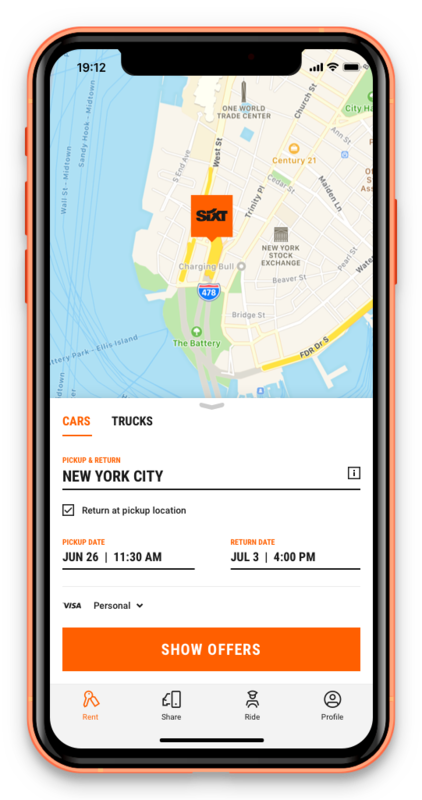 SIXT brings transparency to the booking and billing of trips. We include monthly statements and individual listings in a global reporting.